The L300 Go system lifts your foot if you have drop foot, which can occur as a result of diseases of the central nervous system such as multiple sclerosis and infantile cerebral palsy or after a stroke. This improves your gait pattern, making it smoother and safer. The L300 Go stimulates the nerves that the central nervous system can no longer control. This is done using functional electrical stimulation with small electrical pulses. One electrode controls two stimulation channels. They are simply placed on your lower leg with a cuff and ensure that dorsiflexion is well balanced. 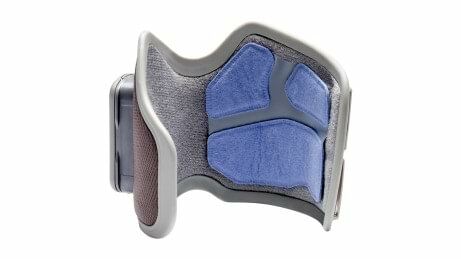 If the knee is also unstable, the L300 Go can also trigger knee flexion and extension with an additional surface stimulator. 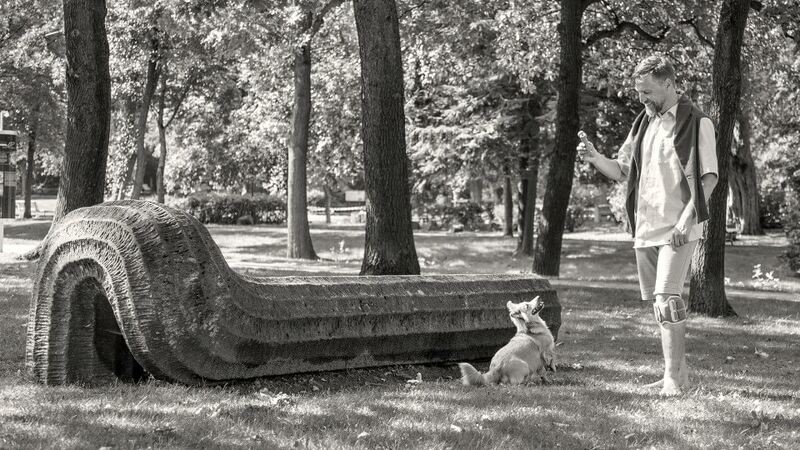 Intelligent 3D motion detection generates the stimulating pulse at exactly the right time. 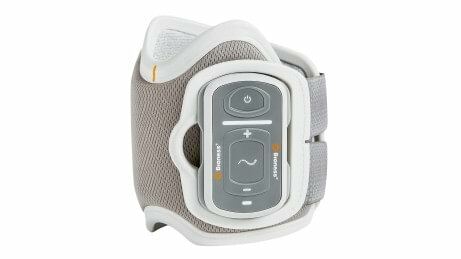 With just a single electrode, the L300 Go controls two stimulation channels and sends the electrical impulses so your foot is smoothly lifted. The cuff secures the stimulator and the electrode to your lower leg. 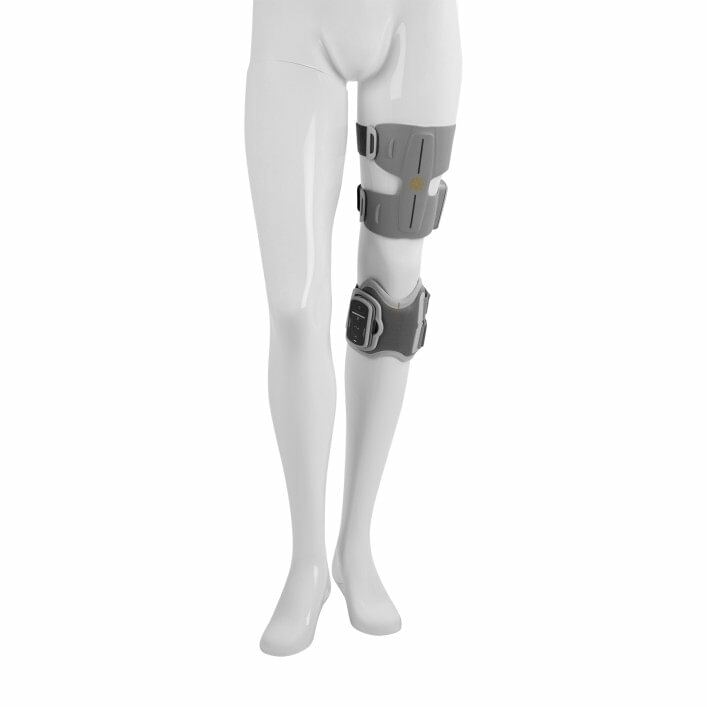 Anatomically shaped versions are available for the right and left leg in two sizes each. 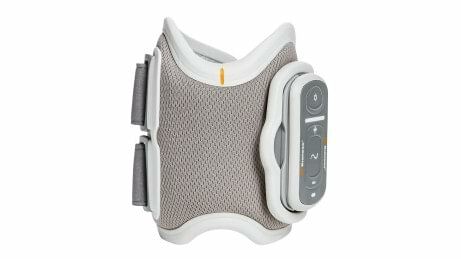 If your knee is also unstable, the cuff secures the stimulator and the electrode to your thigh. This helps your knee flex and extend. There are versions for the right and the left leg. Thanks to intelligent 3D motion detection, the stimulator can detect your current foot position so it can provide stimulation at exactly the right time. As a result, an external foot sensor is only an optional feature now. Contact Ottobock to register your interest in a trial. 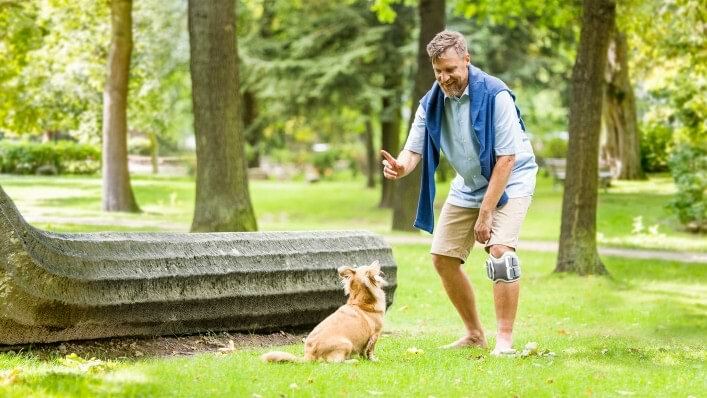 With just a single electrode and two stimulation channels, the L300 Go can precisely control the lifting of the foot as well as internal and external rotation. A user app for smartphones lets you control the system and measure your activity, such as the number of steps. The results are easy to track and document. 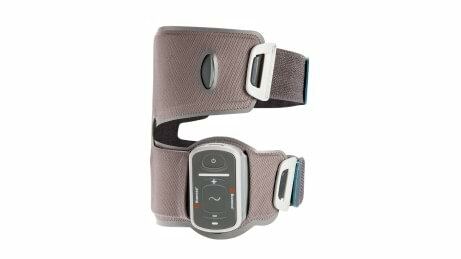 The lower leg cuff features a modern closure system, so you can easily put on the L300 Go with just one hand. A tablet with Bluetooth connection is available to qualified personnel for fitting the L300 Go. This allows the system to be fine tuned at any time. 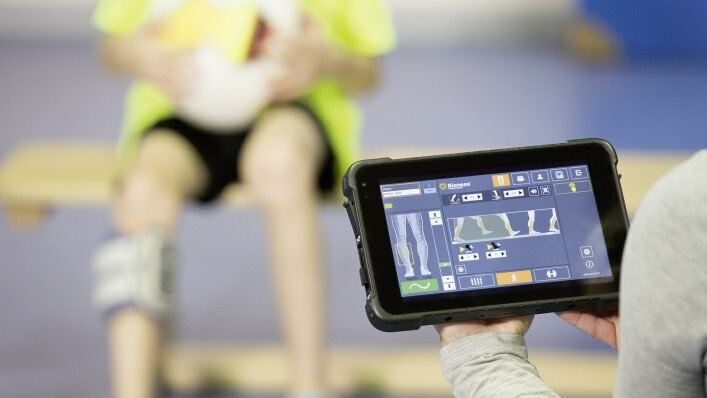 These data are reproducible and can be accessed at any time for long-term gait rehabilitation.